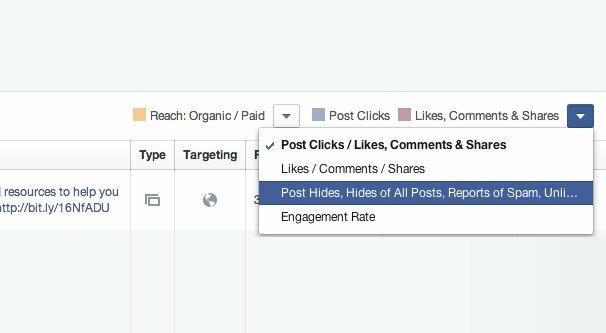 What is Considered “Posting Too Much” on Facebook? Any time you read a post online about Facebook reach, and why your reach is low or declining, chances are pretty good that one of the tips you’ll see is “you’re posting too much.” When you post too much, your read decreases, but why is that? What is considered too much, anyways? Instead of digging into theory and potential numbers and EdgeRank, let’s take a look at some real life examples. After all, Facebook is a public platform, there are tons of examples of businesses you can look at and compare. PC Magazine is a tech and gaming magazine that covers a wide variety of tech topics, mostly focusing around computing issues, but covering anything from Netflix to phone tech and beyond. Looking at their feed, in the last 24 hours as of this writing, I count 23 different posts. They post about once an hour, around the clock, covering a wide variety of topics. I see posts about batteries that power hotels, about new laptop reviews, about retro games and upcoming games, and some more editorial content. Forbes is an international news organization and a highly respected magazine both in print and online. They cover pretty much everything there is to cover, from a wide variety of perspectives. Looking at their feed, in the last 24 hours as of this writing, I count 46 different posts. They post in bursts, 1-3 articles at a time with an hour or so in between them, rather than on a defined hourly schedule. As expected, they cover pretty much everything you could expect. Those are stand-out companies, though. They’re national or global publications with readers in both the USA and Europe, not to mention everywhere else. It’s not really an accurate comparison to a small business, right? What about some smaller brands? Hobbytown USA is a relatively small hobby store chain with around 150 locations across the USA. As you might expect, they cover hobbies, usually in the more tech- and gaming-focused niches. Puzzles, models, remote controlled contraptions, and that sort of thing, as opposed to crafting or knitting or other handiworks. Again, as of this writing, I count only one post in the last 24 hours. In fact, they limit themselves to one post per day, with the exception of non-post “posts” like changing their cover photo, or special posts for special days like New Years Day. Even though this is still a national brand with over 100 locations, they still only post once per day. So what’s the difference between a small national brand and a big national brand? When is Less More, or More Less? So, what is the difference between something like Hobbytown and Forbes? It really comes down to two things: the variety of information available to share, and the relative importance of a few thousand followers. First up, let’s talk about information. When you’re a magazine like PC Mag, or a news agency like Forbes, you have a constant flow of content to share. You have hundreds of people working for the publication. People going out and hunting for tips, people producing interviews, people writing editorials, people reviewing content, political correspondents, and on and on. You have original reporting and referred reporting, news that comes from the Associated Press or from the Press Corps, news that comes directly from press releases, and on and on. When you have hundreds of sources of information, and widely varied information at that, it’s easy to fill ~50 posts per day. Just covering a single day of a government can give you that much, but when you also cover the economy, global news, deep dive interviews, and more, it adds up very quickly. 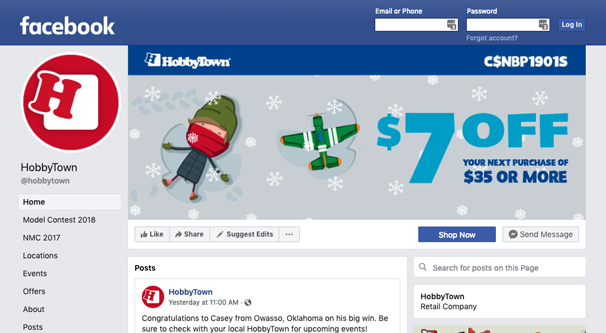 By contrast, a company like Hobbytown is not focused on news reporting, it’s focused on sales. Forbes isn’t selling anything beyond ad space and maybe subscriptions. Hobbytown has a catalog of products. Consequently, most of the posts Hobbytown shares are sales and pricing notifications, new products they acquire, contests, and so forth. Hobbytown could very likely post more often and get away with it successfully if they had more varied content to post. If they, for example, started producing tutorials on how to put together or paint models, how to repair small electronics, where to pilot RC drones and so on, they could write a lot more. That’s the first bit, the information available to share. When you have a lot you can share, that is of interest to a broad array of people, you can publish it all and still come out ahead. What about the second part, though? So here’s the thing. Different social networks have different levels of resilience to excess content. With Twitter, everything you post shows up in the feeds of your users, but since it’s short and often relevant, they usually don’t care if you post long tweetstorms or threads. Twitter truncates threads as well. Instagram is all about consumption, so posting more and more often just gives users more to consume, so there aren’t really diminishing returns. With Facebook, when you post more and more often, two things happen. Some users will see a large number of your posts in their feeds. Many users will only see a small selection of your posts in their feeds. 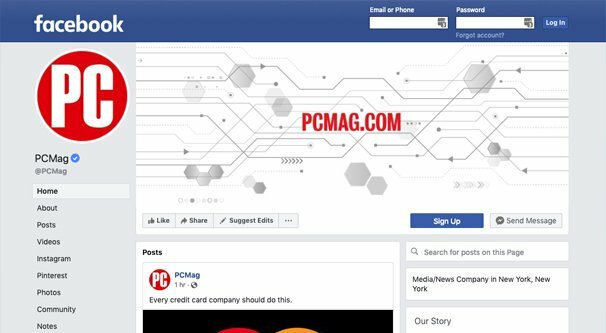 I personally follow both PC Magazine and Forbes on Facebook. I know, through counting, that I could be seeing as many as 75 posts per day between the two of them. And yet I see maybe 2-3 from each of them each day. That’s a lot of posts I never see, because Facebook doesn’t show them to me. 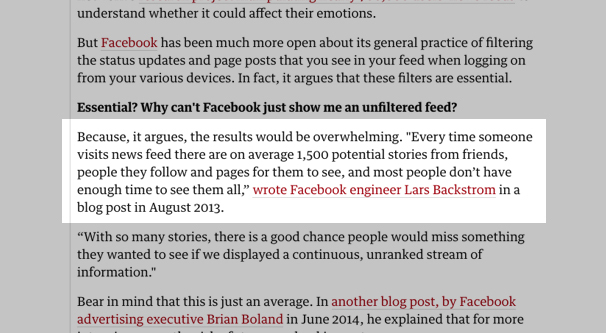 At one point, Facebook mentioned that the average user would see something like 1,500 posts in their news feed every day if not for their filtering algorithm. Instead, it’s cut down to around 150-300, depending on the user activity level. Active users will churn through more posts, but you still end up seeing the same ones a few times over. People with very few friends on Facebook will end up seeing more from those few friends. If I made an account that only followed Forbes, I would probably see most of the posts they make. I don’t know that I would see every post Forbes makes, but I would see more than I currently do, that’s for sure. I bring all of this up because it becomes somewhat clear that a certain sub-section of your followers are not very tolerant of large numbers of posts. Some people don’t want to see more than 1-2 posts from your brand in a given day. If they see too many more, they’re likely to unfollow you. In their eyes – and correctly so – they view each post from your brand as a slot in their feed that could have had a post from a friend or family member. It only takes a few instances of missing highly important posts from friends – marriage announcements, deaths, and so on – to grow angry at the platform for “hiding” important messages from your friends in favor of messages from brands. It’s a struggle Facebook has to contend with every day. They can’t decrease the reach of brand posts much more before brands start leaving, but they can’t prioritize brands lest the users leave, taking the brands with them. When you post quite frequently, some section of your follower base will leave. 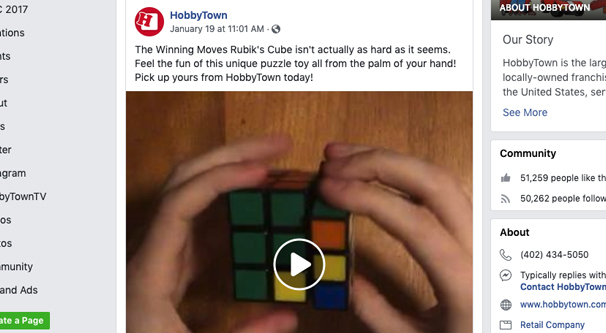 For a brand like Hobbytown, which has 50,000 followers on Facebook, every follower is relatively important. For a brand like Forbes, which has 5.6 million followers, losing a few thousand is little more than a statistical error. That’s the trick with Facebook, right? As you grow larger and larger, the threat of a potential disaster grows smaller and smaller. A company like Forbes or Coke or Apple would have to make an incredible, world-altering mistake to be significantly impacted by the social media repercussions, while a small local shop can be absolutely shuttered by the wrong word at the wrong time. Looking at brands and drawing comparisons is one thing, but it’s quite another to be able to study accumulated data and draw real conclusions. I don’t personally have access to the number of pages and followers necessary to run tests and study data firsthand, but I can give you the results of studies other companies have performed. First up, I’m going to refute one of the most common pieces of “wisdom” that even I mention up above: posting too much will irritate your fans. Does it? Well, yes and no. It certainly irritates your fans if the posts you’re making are irritating. Something like Hobbytown, posting primarily about sales and products, is probably going to irritate followers. Something like Forbes, posting important world news, is going to be more relevant than anything. 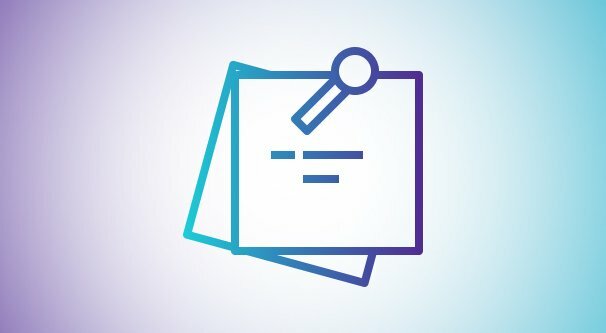 You can measure this yourself on your own page by tracking “negative engagement.” Negative engagement are the actions that users can take that hurt a post or a page. Hiding a post, hiding all posts, unfollowing a page, unliking a page, and reporting posts are all negative actions. You can see how many you get, and you can measure if they go up when your posts go up. Consider, though, measuring whatever your important KPI is. Your key performance indicator is the metric you want to get out of your posts. What is it? 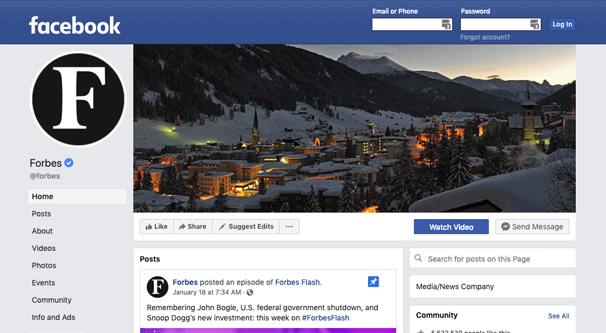 For some brands, it’s engagement, new followers, comments, or other on-Facebook metrics. For others, it’s referral traffic to your website. Still others focus on product sales. The further you get from Facebook, the lower your conversion rate for your KPI will be. Post as often as you like, and measure your KPI. Does it go down when you post more than 3 times a day? Does it stay about the same? Does it go up? You don’t really need to care about something like reach, since reach isn’t going to be impacted significantly, and reach alone doesn’t do a whole lot for you. Hubspot did some surveys on this issue, with their customer base. Unlike me, they have the access to the data to study this directly. 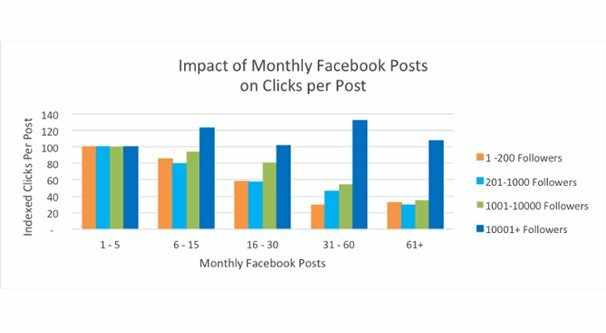 When studying “clicks per post”, here’s what they found. For accounts with under 200 followers, posting 1-5 times per MONTH got them the highest number of clicks per post. For accounts with 200-1,000 followers, the results are the same. For accounts with 1,000-10,000 followers, the results are the same, though the number of clicks per month was on average higher than the other two brackets. For accounts with over 10,000 followers, posting more frequently was beneficial, with a spike at 30-60 posts per month, or 1-2 per day. This caps out at about 2 posts per day, unfortunately, and doesn’t study the impact of the difference between 2 and 5 posts per day. This does bear out what I was saying before: the larger the brand, the more risks the brand can take, and the less damaging a mistake can be. If you have 200 followers, losing 20 is huge. If you have 10,000 followers, losing 20 is nothing. So what’s the ideal strategy? Personally, I don’t think that posting 1-5 times per month is really all that good. Sure, your clicks per post may be higher, but your raw click volume is going to be low. I figure very small brands, with under 1,000 followers, should post 1-2 times per week. Larger brands can post more often, so long as they have something to say. And that’s really the key. It doesn’t matter how often you post, so long as you’re only posting when you have something of value to share. Forbes can get away with it because they have nearly infinite sources of high quality content. Bob’s Crab Shack and Small Electronics Emporium probably doesn’t.